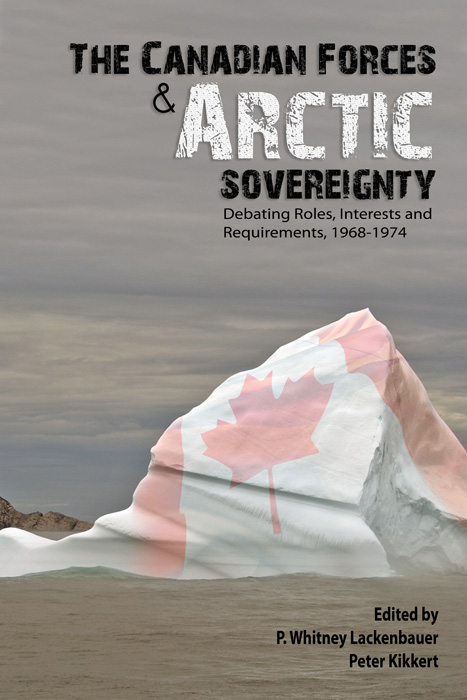 The Canadian Forces and Arctic Sovereignty is a compelling work that provides a nice balance between insight and analysis into the government’s decision making process with respect to Arctic sovereignty issues between 1968 and 1974. Lackenbauer and Kikkert have provided Canadians with a well- researched resource that will in all likelihood remain relevant for some years. As [Rob] Huebert aptly points out [in the afterword], “… many of the arguments and debates that shaped the responses of the Canadian government in the 1960s and 1970s are eerily similar to the arguments that are being put forth today.” Much of the material contained within the book is still relevant to researchers, analysts, and policy makers today, simply because the debate over government priorities in the Arctic appears to have changed very little over the years. The role of the Canadian Forces in asserting sovereignty is often tied to the old maxim that possession is 9/10th of the law. Surveillance capability and “boots on the ground” are often tightly bound to Canada’s credibility in “defending its sovereignty.” As talk of a polar race intensifies and new concerns arise over the continental shelf, boundaries, pollution, melting ice and that tiny piece of rock called Hans Island, a more robust Canadian Forces presence is perceived as essential to “using or losing” the Canadian Arctic. Where is the justification to validate this accepted wisdom? How does a military presence play into demonstrating effective occupation? A country must be able to control activities in its territory, but does a military presence really strengthen Canada’s sovereignty in the Arctic? The Canadian Forces and Arctic Sovereignty: Debating Roles, Interests, and Requirements, 1968-1974 introduces the debate about the Canadian Forces’ role, mission, and contributions to Arctic sovereignty during these pivotal years. Policy analysts grappled with many of the issues facing decision-makers today, and recently declassified documents (published here for the first time) yield insights into what Canadians should reasonably expect from their military as the country develops and implements an Arctic strategy in the twenty-first century. P. Whitney Lackenbauer and Peter Kikkert (eds. ), The Canadian Forces and Arctic Sovereignty: Debating Roles, Interests, and Requirements, 1968-1974 (Waterloo: Laurier Centre for Military Strategic and Disarmament Studies / WLU Press, 2010), x, 378 pp. If, like me, the title of this work makes you wonder why Lackenbauer and Kikkert focus their attentions on Arctic sovereignty between the years 1968–74, their introduction leaves you in no doubt. While the issue of Canadian Arctic Sovereignty can be addressed across multiple time frames and regarding multiple issues (from the DEW Line, to the policies of Inuit resettlement, to nineteenth-century whaling), Lackenbauer and Kikkert outline clearly why we should pay attention to this relatively narrow period and the military’s role in particular. In short, they argue that it provides a window onto contemporary events, specifically regarding the policies and rhetoric of the Harper administration. With so much vital material still classified and with so little publicly available, the authors have essentially provided students, and even established academics, with an invaluable source of material. For anyone working on an academic paper on Arctic sovereignty, and who would prefer to avoid a month-long trip to the National Archives in Ottawa, Lackenbauer and Kikkert have provided a viable and very valuable alternative. Arctic sovereignty issues are much in the news today as the looming specter of global warming enhances the likelihood that Arctic nations will clash with each other over national boundaries, newly accessible resources, and transportation routes. Like other nations discussing Arctic sovereignty rights, Canadian political leaders often bring their military forces into the picture, arguing that these forces should participate in asserting sovereign rights in the Arctic. But what specific role do Canadians expect the Canadian Forces to play in the Arctic? This volume … makes accessible to the ordinary reader and scholar a trove of recently declassified Canadian Government historical documents discussing the role that the Canadian Forces should play in asserting and maintaining Canadian Arctic sovereignty. These documents—created during the last great Canadian Arctic sovereignty debate of the late 1960s and early 1970s—provide important insights for those who wonder how the Canadian Government might respond to the same issues today. 3-9. Parliamentary Standing Committee on External Affairs and National Defence, Proceedings: Tenth Report to the House, 26 June 1970. Excerpts related to the Arctic. 5-7. Donald S. Macdonald, Defence in the 70s, August 1971. Excerpts.